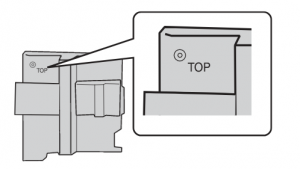 This step-by-step guide helps you replace the Sony KDF-37H1000 TV lamp. Don’t settle for anything but the best for your Sony KDF-37H1000 TV. Always install an authentic projection lamp. When buying look for the seal of approval — don’t get caught with a counterfeit generic projector lamp! installing a generic lamp voids your TV warranty. The Sony KDF-37H1000 lamp should last up to 8,000 hours depending on how much you use the TV. 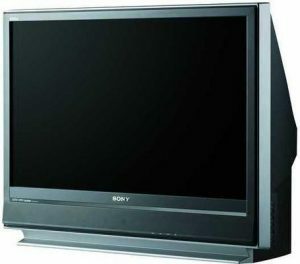 When the Sony KDF-37H1000 lamp is reaching end of life, you will see a message on screen reminding you to replace the lamp and the Lamp indicator on the TV will start flashing red. Other end of life signs may also include darker images on screen and colors that look off. 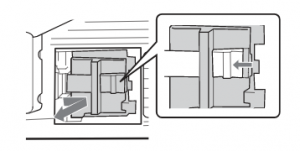 Let the cooling fan operate for two minutes after the power is turned off. Wait an additional 30 minutes to allow the lamp to cool down. It should be cool to the touch. Avoid touching the glass bulb of the new lamp since oil from your hands can leave a mark. Using equal force, press both hooks (see #1) towards the KDF-37H1000 TV screen in the direction the arrows are pointing. you. The lamp cover should come off easily. 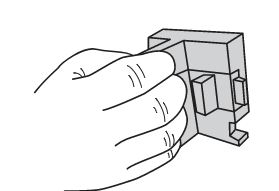 Remove the KDF-37H1000 TV lamp door by holding the door knob. Press the door lever toward the door knob in the direction the arrow is pointing. Then, pull the lamp door out of the TV towards you. Pull the lamp out of the TV by gripping the indented grooves on the lamp. Pull the lamp straight out of the KDF-37H1000 TV. NOTE: Be sure to recycle the Sony XL-2500 Replacement TV Lamp as contains mercury and should not be thrown into regular garbage. Recycle it! Slide the new lamp into its place. lamp door is on top while placing the door lamp into the compartment. door lever when sliding the lamp door into the compartment. the lamp door lever toward the door knob. Shut the lamp door by releasing the door lever. When you hear a clicking sound the lamp door is secure. Make sure it is securely closed by tugging on the door knob. two clicking sounds are made. Once the Sony KDF-37H1000 TV lamp has been replaced you will need to reset the lamp timer so the TV set knows it has received a new lamp. Go to the Settings icon on the main TV Screen and choose the General Settings. Scroll down to the Lamp Replacement option and choose that to reset the lamp timer to zero.